I love this Christmas cookie recipe and I’m very excited to share it with all of you! It was given to me by my German mother-in-law and is one of my all time favorites to snack on during the holidays. 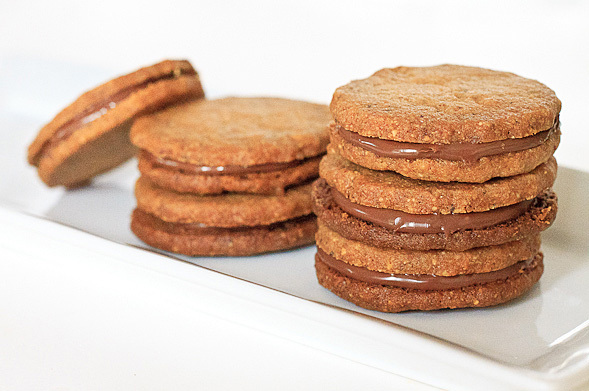 The first time I tried her hazelnut cookies I just couldn’t get enough. I made a few tweaks from her recipe as some items are not sold in the States but I was still able to keep it simple with only six ingredients. It may look like a lot of steps, but the recipe is actually quite easy. The only step I urge everyone to follow is to chill the dough before rolling out, as it is butter-based. Also, make sure you dust your work surface and the top of the dough with flour. Happy baking, but I have to excuse myself now because I must eat another cookie! 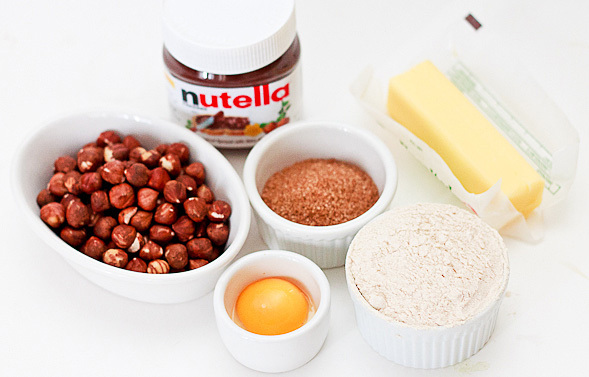 In a bowl, add flour, sugar, salt, ground hazelnuts, egg yolk and cold butter. Mix ingredients together well, then allow dough to cool in the fridge. On a floured surface, thinly roll out dough then cut out desired shapes. Bake cookies for 12-15 minutes and allow to cool on a rack. 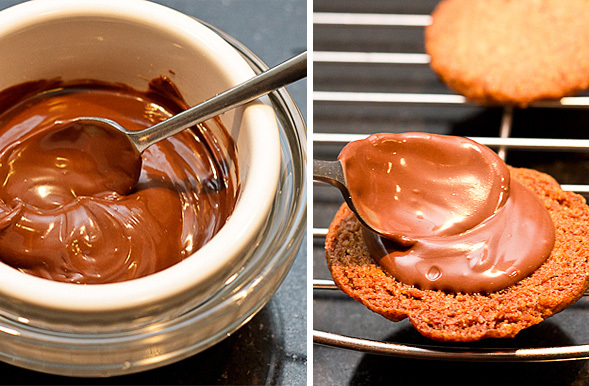 Make a hot water bath for the Nutella so it's easily spreadable. 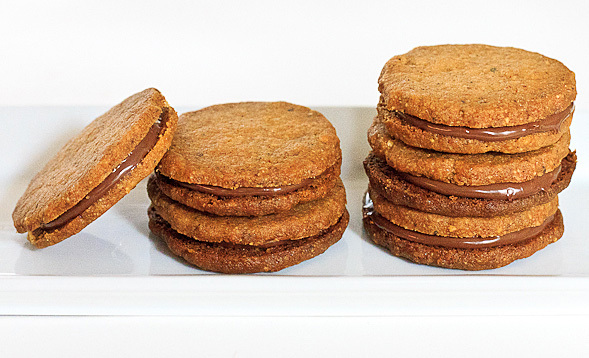 Spread on one cookie, then top with another cookie. 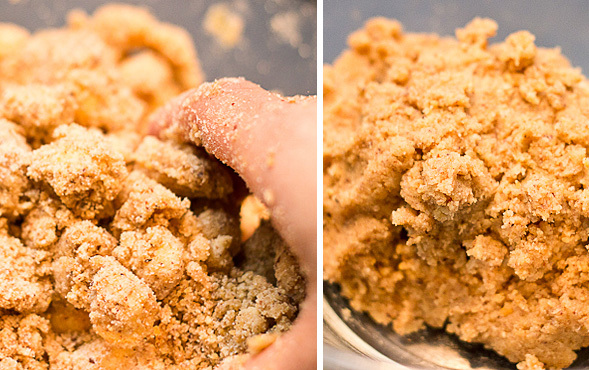 Grind hazelnuts in a food processor or blender (or use store bought). 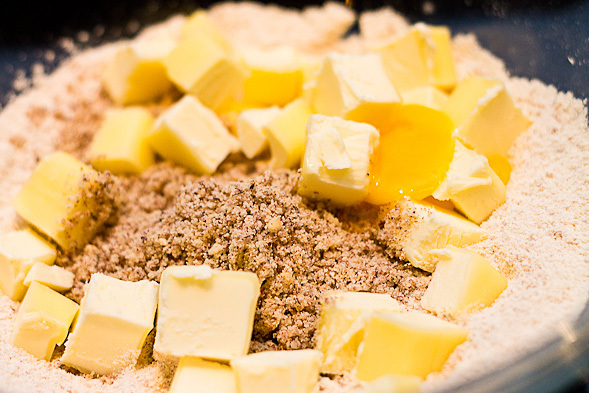 Use a stand mixer or a bowl with your hands, knead all the ingredients to a dough. Allow the dough to cool in the fridge. On a clean surface or on top of plastic wrap, roll the dough out thinly with a rolling pin. Flour the surface and the top of the dough to easily roll. Cut out shapes with a cookie cutter. 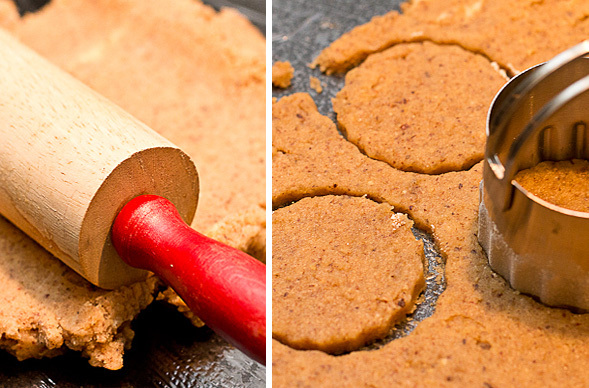 Make sure the dough is cold, if not it will be difficult to cut the cookie shapes. Bake for about 12-15 minutes on parchment paper. 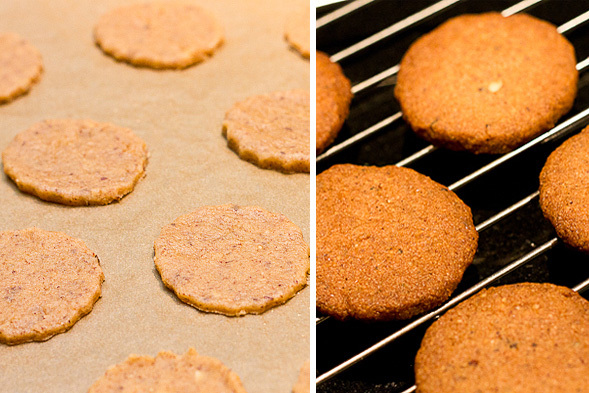 Allow the cookies to cool. Top one cookie with Nutella and glue together with another cookie. I like to put some Nutella in a bowl in a hot water bath so it gets soft and easier to spread.